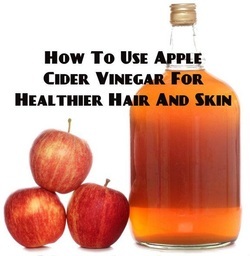 Apple cider vinegar can smooth the cuticle, making your hair appear smoother and shinier. It does this by balancing pH levels unlike commercial shampoos that strip the hair and leave it looking rough, dry or dull. It also removes buildup and can help with dandruff and an itchy scalp. Simply use ACV as a rinse. Dilute it with equal parts water and dump over your head while in the shower. Give it a moment to sink in before rinsing. Vitamin A: responsible for the production of sebum, a natural hair oil that moisturizes your hair, maintains a healthy scalp and repairs any damaged hair. Smoking and certain medications can hinder Vitamin A. Foods that are high in Vitamin A: Livers, red peppers, sweet potatoes, carrots, paprika, lettuce, dried herbs, dark leafy greens and butternut squash. Vitamin B6: provides the distribution of oxygen to your cells around your body. 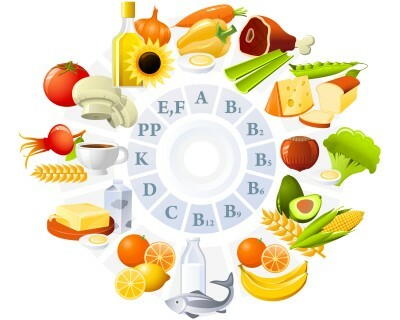 Foods rich in Vitamin B6: Chicken, turkey, beef, pork, cod, salmon, tune, trout, spinach, green peas, broccoli, peanuts, hazelnuts, cashews, chickpeas, lentils and soybeans. Vitamin C: helps in production of collagen. Shortage of collagen will lead to severe hair fall and breakage. Also increases blood circulation around your scalp helping the distribution of nutrients to your hair follicles. Foods with a high level of Vitamin C: Red and green hot chilli peppers, guavas, bell peppers, fresh herbs, broccoli, cauliflower, Brussels sprouts, kiwi fruits, pawpaw, oranges and strawberries. Vitamin E is liable for distributing blood to your scalp and aiding in the absorption of oxygen. Found in Mustard greens, almonds, papaya, kiwi fruits, spinach, vegetable oils, wheat, red bell peppers and Swiss chard. Foods with folic acid: Egg yolk, kidney, chicken giblets, dried beans, lentils, potatoes, peaches, bananas, cabbage, beetroot and asparagus. Found in Swiss chard, carrots, almonds, walnuts, eggs, strawberries, raspberries, milk, onions, cucumbers and cauliflower. Iron Foods: Dried herbs, cocoa powder, clams, oysters, mussels, caviar, dried apricots and livers. 2.Zinc: Lack of zinc results in poor immune system & may lead to diarrhea caused by a bacteria infection. A suitable amount must be taken and not too much as it can be toxic. Zinc Foods: Oysters, lean beef, lamb, peanuts, crab, veal liver and dried watermelon seeds. Honey boosts shine & health of hair by infusing it with moisturizer. Method: Mix a spoonful of honey with a quart of warm water and rinse through your hair after shampooing. Leave on for an hour for deep conditioning, then rinse gently. Every other week, also include a rinse of organic apple cider vinegar for extra shine boosting. Pour 1/3 cup of honey into a bowl. Scoop a 1/4 cup of your favorite conditioner and put it in the bowl with the honey. Combine the mixture until you have the perfect combination and consistency. Apply the mixture to damp hair and cover with the shower cap. Leave for few hours then wash the mixture out with water. CAUSES for Falling hair: Sebum blockage, stress, lack of minerals/vitamins, modern lifestyle, dieting, internal problems, gene problems, diet, pollution, lack of sleep, hormonal imbalance, and mental problems. The excess production of DHT in the body causes premature balding. 1. MASSAGE: Rub your scalp each day for 5 min with oil (olive, almond, castor, coconut or mix of castor & coconut); it boosts the blood flow, and thus the activity of your roots; also reduces stress. 2. REDUCE STRESS: Stress boosts hair loss, so try massaging the scalp with oil 1-2 times a wk. Use magnesium treatment to regulate nervous tension. 3. 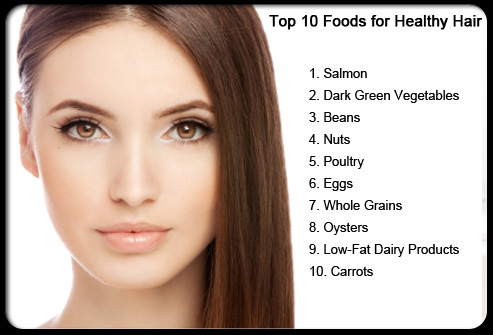 HEALTHY DIET: Blood boosts the roots, so a good diet rich in proteins, iron, zinc, Vit B & E is good for hair. 4. Vitamin supplements: Take vitamins orally to help promote hair growth. Vit E is known to increase capillary growth, hence circulation & hair growth; it prevents hair loss & heart problems. It prevents split ends, help heal hair damaged by excessive use of a hair dryer, and cure dry hair/scalp as well. massaging scalp with olive oil or coconut oil, few hrs or a night before washing hair. white vinegar rinsing for shine & condition. applying mix of hair henna with few drops of lemon juice (to get rid of dandruff) some yogurt & little honey. Click on the pic below to go on my page on Vitamins & read about the benefits of Vit E especially for women. Hair loss does not always have to be permanent, and there are many ways that we can treat hair loss and get our healthy hair back. The primary function of Vitamin E is as an antioxidant. It chiefly mops up reactive oxygen radicals produced from fat oxidation. This antioxidant action makes Vitamin E essential for regenerative functions in the body where it protects tissues and organs such as the hair from damages. *Remember that there is no actual cure for hair loss, only treatments that may help. TAKE CARE of YOUR HAIR!!! Hair is made of a 91%protein, Keratin that consist of amino acid chains. Breaking up of these chains occur due to harsh weather, sun exposure, use of too much hair products etc. resulting in dull, brittle hair; also keratin molecules are - ve'ly charged making hair frizzy. Conditioners are used to counteract this, as they are composed of +ve'ly charged molecules called surfactants which help to neutralize the effect and combine to form molecules that coat the hair, making them sleek and less frizzy. Home-made Protein Packs can be used to restore back strength & shine of the hair. 1. EGG: Egg yolks have Vitamin A,D,E and some B group & are building blocks of hair. Vit A helps the scalp to produce more sebum(body’s natural oil) and prevents hair loss. Vit D stimulates hair growth. Vit E and B increase oxygen absorption and improve blood circulation. Egg Yolks are also rich in Essential Fatty Acids which make hair shiny and manageable & also prevent dandruff, hair loss and dry scalp. Egg white help to repair and nourish the hair from within. 2. OLIVE OIL: For dry, frizzy, flaky hair, olive oil is best to give shine & nourishment to the lifeless, damaged hair. Its a good conditioner & light in weight. It gets absorbed fast & is good for hair treatment 1-2 times a wk. 3. YOGURT: It is a remedy for dandruff as it is a good cleanser & unclogs scalp pores, getting rid of dandruff. Yogurt being rich in lactic acid, coats the hair to make it smooth and tangle free. 4. HONEY: It has humectant properties(attracts water making it an ideal moisturizer) & is wonderful for dry and damaged hair. It should be used in packs for hair. Honey boosts shine & health of hair by infusing it with moisturizer. Method to give shine to hair: Mix a spoonful of honey with a quart of warm water and rinse through your hair after shampooing. Leave on for an hour for deep conditioning, then rinse gently. Method: Start by beating the eggs in a blender till frothy. Then add oil and blend it to get a creamy consistency. Whisk in honey and curd The pack is ready now. Comb your hair and apply the pack with a brush. Make sure to cover each and every strand. Wrap your hair in aluminum foil. Wear a shower cap on top & let it sit for 30 min. Rinse hair slowly in cold water to soften the dried hair & remove the pack. Then use a dollop of conditioner to soften hair before shampooing as usual. Use the diluted vinegar for a final rinse to restore shine. It is advised that instead of shampooing too much, one can use a cleanser which is not harsh as shampoos, yet cleans hair, nourishes the scalp & reduces dryness. After researching I found that "Hair One Hair Cleanser and Conditioner" with Tea Tree Oil Hair Conditioners And Treatments, is really good for dry itchy scalp. It gives shine & body to the hair. Some people say that it is the best alternative to WEN shampoo which is good but expensive for many. ways to take care of hair problems. Make protein rich packs at home to apply on hair & restore strength & shine without wasting money on expensive products.